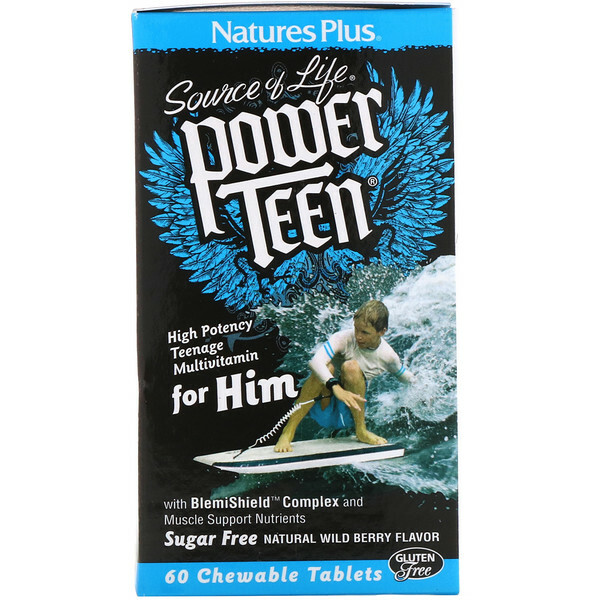 Whether he's surfing the Net or Shredding on His Board, a young man needs the power and energy that only a high-quality, high-potency supplement can provide. Armed with an explosion of Wild Berry flavor, Power Teen for Him is the ultimate young men's high-potency multivitamin supplement. 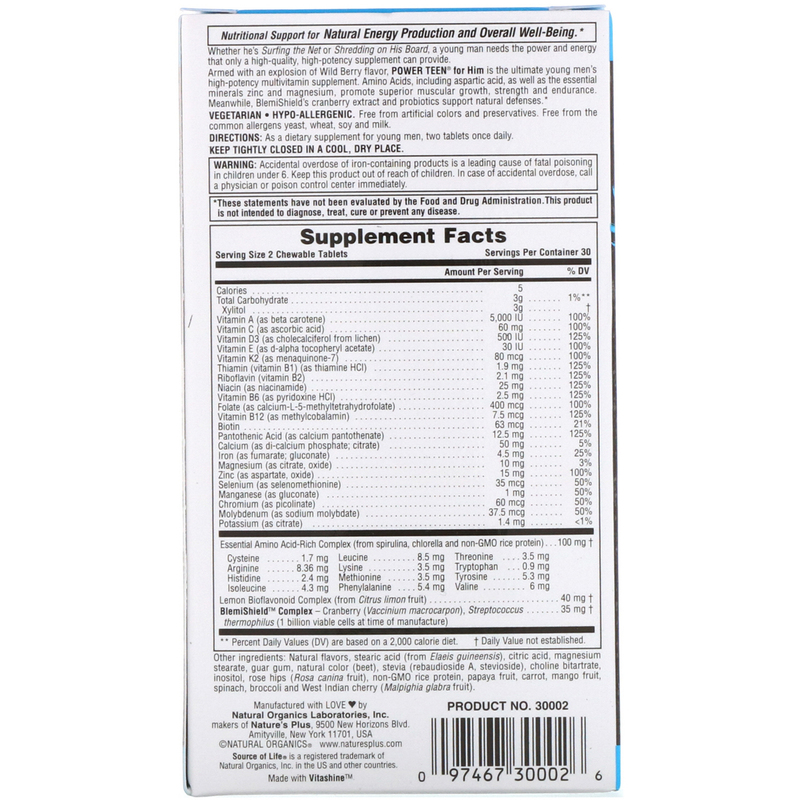 Amino Acids, including aspartic acid, as well as the essential mineral zinc and magnesium, promote superior muscular growth, strength and endurance. Meanwhile, BlemiShield's cranberry extract and probiotics support natural defenses. 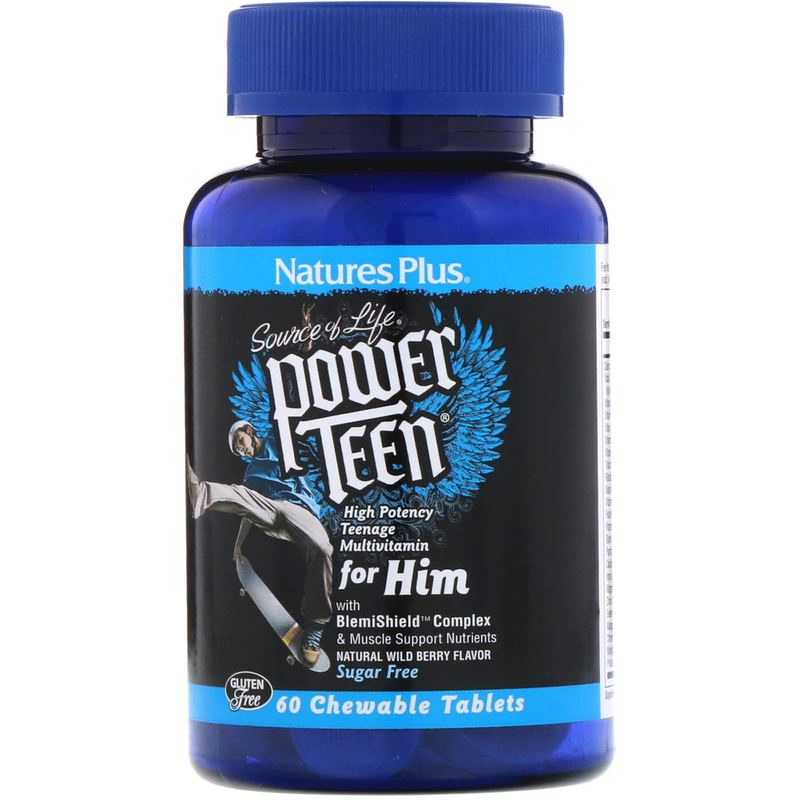 As a dietary supplement for young men, two tablets once daily. 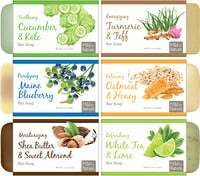 Natural flavors, stearic acid (from elaeis guineensis), citric acid, magnesium stearate, guar gum, natural color (beet), stevia (rebaudioside A, stevioside), choline bitartrate, inositol, rose hips (rosa canina fruit), non-GMO rice protein, papaya fruit, carrot, mango fruit, spinach, broccoli and west indian cherry (malpighia glabra fruit).